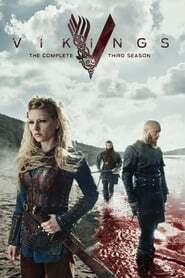 The fleet returns to Kattegat to discover tragic circumstances await. Follows Death Row inmates, who tell the story of how they ended up there. Tensions run high between African American citizens and Caucasian cops in Jersey City when a teenage African American boy is critically injured by a cop. After crash-landing on an alien planet, the Robinson family fights against all odds to survive and escape. But they’re surrounded by hidden dangers.